Safety identification products are some of the most important labels and signs in the manufacturing industry. Any information regarding health and safety is essential to any environment, and is also required by state, local, and federal laws. Label and signage construction is critical to achieving a long lasting, durable safety identification products. Only the highest-quality materials are used in the production of our safety labels and signs, and they are uniquely able to conform to most surfaces, such as pipes, walls, doors, panels, shelving, bins, and equipment with a permanent adhesive backing. Products can be made from indoor or outdoor grades, which includes resistance to oils, detergents, dirt, grime, many solvents, and high temperatures. Safety signs are one of the oldest safety identification products. In 1941 with the rise of the industrial revolution safety signs began to be regulated by certain signage standards to help reduce the number of manufacturing related accidents. Safety signs are particularly important for areas with heavy machinery or hazardous waste. Safety identification signs help promote safer work environments. To this date, safety signs are used to help keep employees aware of potential hazards and reinforcing important safety precautions and policies. Plasti-Fab’s notice signs serve the double purpose of directing and informing employees and visitors of your company policies. They are often used in warehouses or manufacturing facilities to make sure everyone can be aware of important requirements for certain areas. Our notice signs can be customized to meet any size, text or colors needed. Parking and docking area signs: Help direct trucks and vehicles to the correct areas in your facility. Security Checkpoint signs: Let visitors and employees know if there are any mandatory checks or inspection when they enter your facility. Gear protection signs: Highlight in certain areas the use of protective and mandatory gear such as ear or eye protection. 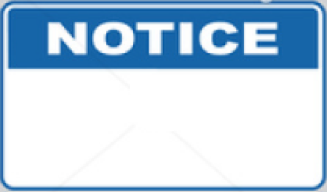 Area restriction signs: Notify people of areas that should be kept clear or used for traffic. It’s important to use this type of signs when there are areas closed for construction. Surveillance Signs: Notify visitors or the public if your facility is protected by specific types of surveillance. If you need a specific type of Notice sign customized for your facility contact us! Plasti-Fab’s caution signs provide warnings to help prevent injuries in the workplace area. These signs help inform and deter workers from harm. These signs are mandatory in certain industries, and can help reinforce your company’s policies and safety regulations. It is recommended to post caution signs in places with potentially hazardous conditions. Plasti-Fab’s safety signs can be customized in a variety of sizes. The materials used for these signs are made to withstand diverse work environments and mounting needs. 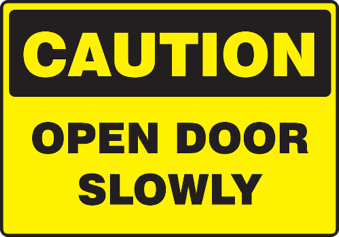 Order from us your customizable caution signs. Construction Site Caution Signs: These signs are mandatory at construction site to inform the public of a dangerous area, and to inform workers where the construction area begins. Heavy Machinery Caution Signs: These signs are used where heavy machinery is being used. Inform pedestrians and drivers to be aware of heavy traffic. Gear Caution Signs: Caution to people wear specified gear to enter areas with potential physical danger. Proceed with Caution Signs: Warn people in the workplace of hazardous areas or conditions that could cause personal harm. Plasti-Fab’s hazard signs can be customized with variety of hazard pictograms universally recognized to prevent harm to people or the environment. 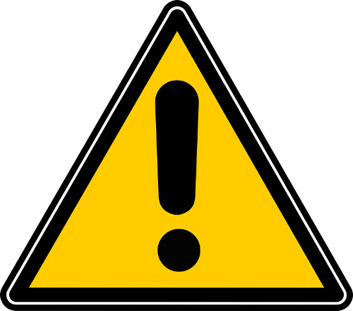 Hazard signs are often used warn about the use of dangerous materials, locations or objects. The symbols used in the hazard signs are often regulated by law and directed by standards organizations. Plasti-Fab, Inc sells high quality indoor and outdoor safety signs at competitive prices. Custom notice signage is our specialty. Our trained experts can answer your questions, and help with custom signs. Contact Us!